Chinese consumers prefer beauty products, baby diapers, apparel and skincare products from Japan and South Korea. Among product categories from the United States of America, Chinese consumers prefer nutritional supplements and baby milk formula. Germany and Australia are famous for kitchenware, nutritional food items, and coffee. Alcohols beers made in U.S ,wines from France and Italy. Fastest growing product category is: Children Supplies, Business Supplies, Cosmetics and Snacks. Whereas foreign brands account for around 10% of China’s overall retail market, they make up 40% of goods sold online. If you look at categories such as wine, imports account for 85% of sales online. Even milk, where just 1% of domestic sales happen online, 30% of import sales are on eCommerce platforms. That is why China’s big eCommerce players such as Alibaba and JD are busy opening up offices across Europe, North American and Australasia. There are 198 prefecture-level cities in China with population bigger than Manchester. Although most of these cities don’t have the discretionary income of cities like Shanghai or Beijing, they are China’s fastest growing cities, with consumers having an increasing appetite for new and foreign goods. Many of these foreign goods are difficult to get at the local mall, but eCommerce platforms opens up a whole new range of products. How can foreign brands have presence on Chinese e-commerce platform? Depends on the product categories it is prompting, foreign companies need to have online presence on one or more Chinese eCommerce platforms. Tmall holds the biggest market share in eCommerce market in China at 57%. 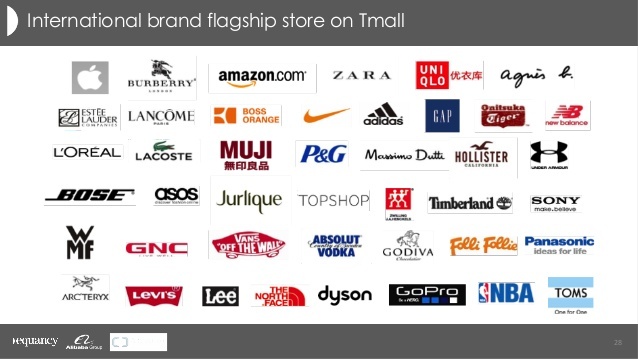 It is also the most expensive online marketplace in China, as Tmall mainly focuses on premium brands. Tmall allows International brands to open exclusive online stores and directly sell products to Chinese consumers without having bricks-and-mortar stores in China. Small has invitation-only policy where only qualified international brands can either be invited to join or can apply through a local digital marketing agency. 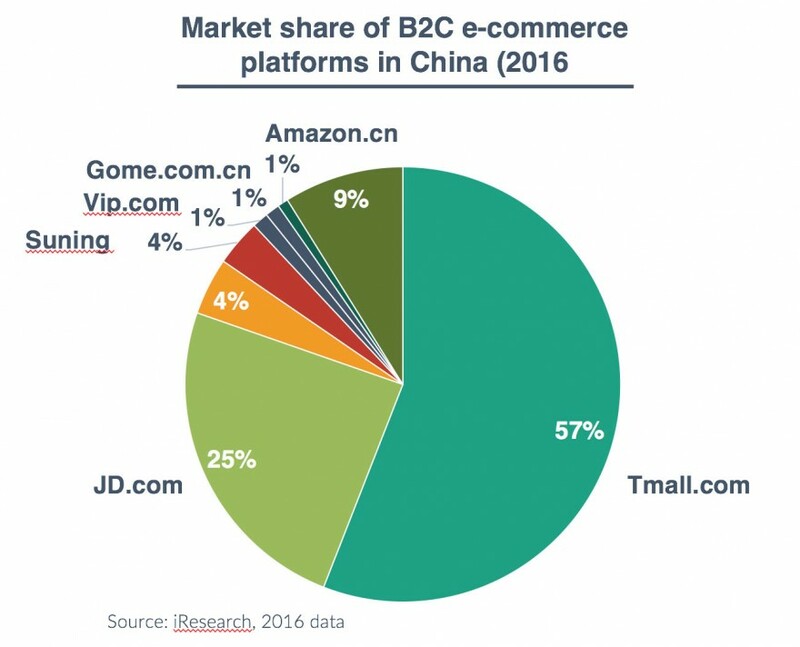 JD.com has relatively less market share than Tmall.com, it is also less expensive option. It has a zero tolerance policy for counterfeit products. Same as Tmall, JD.com allows international brands to have individual online stores without being physically presence in China. WeChat is all-in-one-app which integrates social eCommerce seamlessly. Wechat store gives numerous possibilities to International brands to reach Chinese consumers effectively. WeChat Service Account is considered the most suitable for business and organisation that aspires to access to Chinese consumers. Service accounts allow companies to open their own online store. The online store can be used to manage products, take orders, display products, and manage customer complaints.